I was taking a Sunday drive to Middle Head for some leisurely outdoor activity, walking along the shoreline and enjoying the scenic views. To refresh people engaged in such pastimes in the area, the Middle Head Cafe sits right by the side of the road, conveniently near the car park. We went in for some lunch, looking to sample the home made quiches, which have rave reviews on several sites. 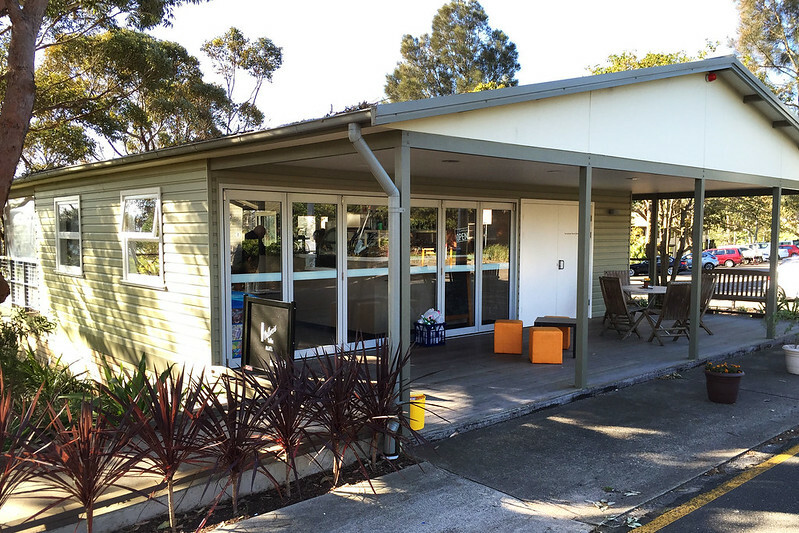 The cafe is in a detached weatherboard building with a wooden verandah, simple but neat and modern. On entering, it looks slightly fancy, with an upmarket menu of cafe items and drinks. Unfortunately they have already run out of quiches by the time we arrived, so we had to make do with a selection of sandwiches and a salad. However, in the cake display they had some vanilla slices. So naturally I ordered one for dessert. 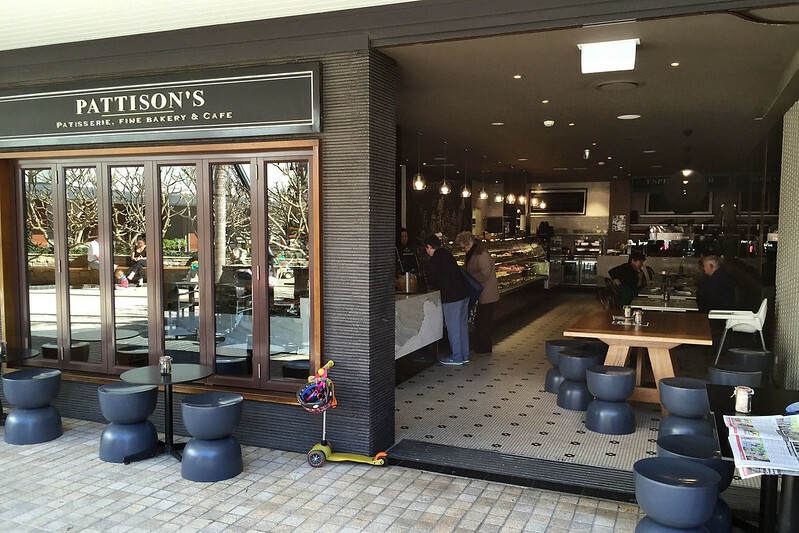 Pattison’s is a small chain with a dozen patisseries scattered across the northern suburbs of Sydney. 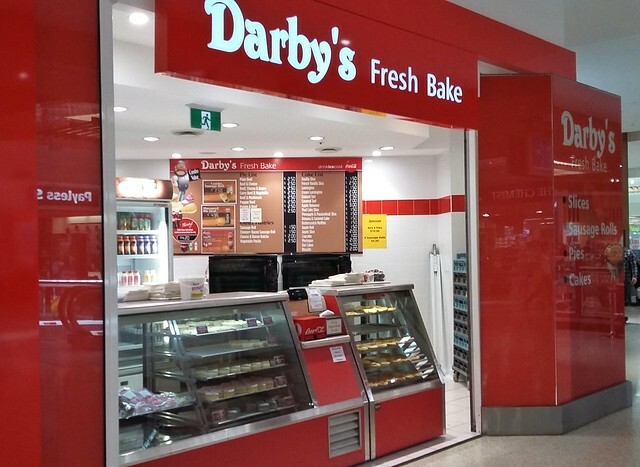 This one at Cammeray has a long glass counter stuffed full of delicious looking cakes and pastries. As well as the traditional Aussie favourites, they do trendy new things like macarons and fancy cupcakes. They also bake bread and muffins and other such things. The first day I tried to review this establishment, they had sold out of vanilla slices, so I had to delay my tasting to another day. The next time I was in the area, I ordered one of the sausage rolls from their hot savoury selection, and a slice. 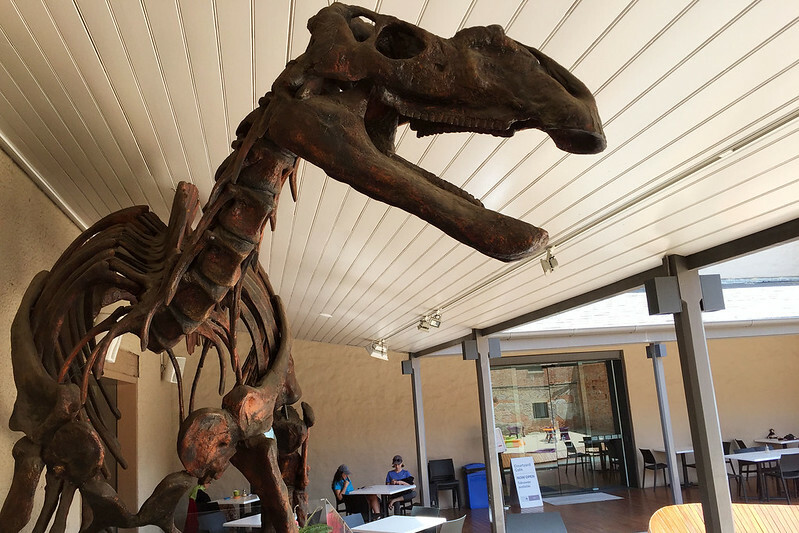 I took them out to sit in the sunshine in the adjacent courtyard as I ate. This area has a bit of restrained buzz from the other shops and cafes in the complex.